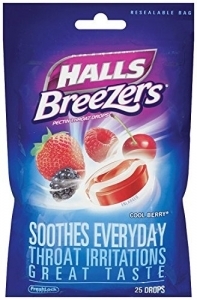 Halls - Dependable quality and value for over 100 years. Dissolve 1 or 2 drops - one at a time - slowly in the mouth. If sore throat is severe, persists for more than 2 days, is accompanied or followed by fever, headache, rash, swelling, nausea, or vomiting, consult a doctor promptly.